Starting from Malmstead, this walk in the Exmoor National Park includes sections in Devon and Somerset. The main focus of the route is areas associated with the Lorna Doone novels. 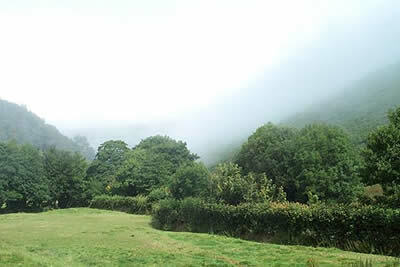 However expect much more with valley and moorland walking in this excellent Exmoor walk. A GPX File is available for download (see walk description).